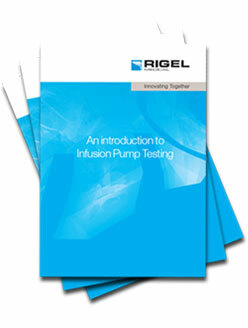 The market defining Rigel Multi-Flo Infusion Pump Analyzer is a portable instrument to accurately and swiftly verify the performance of all infusion devices. 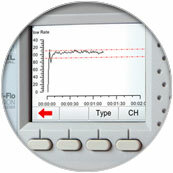 The Rigel Multi-Flo infusion pump analyser offers ease of use, high accuracy readings and productivity improvements right from the start. 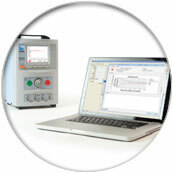 With the choice of single or multi-channel configuration, the Multi-Flo can test up to four infusion devices simultaneously across a range of 10μL up to 1500mL per hour, with all results being stored in the large internal memory. 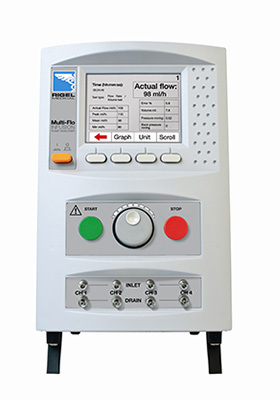 The Multi-Flo delivers unique accurate and instantaneous flow measurements even at low flow rates, enabling the user to test twice as many infusion devices within the same time period as other volumetric based analysers. 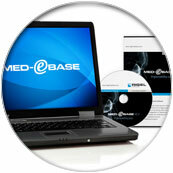 To help save even more time and to reduce the risk of human error, the Multi-Flo can also be programmed with manufacturer specific test routines which can then be automatically executed by the user on the device itself or controlled from a PC using the Med-eBase software solution. To meet the requirements of IEC 60601-2-24, the Multi-Flo also provides accurate back pressure simulations, occlusion alarm monitoring and bolus (PCA) measurements, and a large colour graphics display presents the data in both numerical and graphical format. 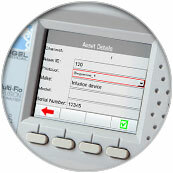 A remote (PC) control interface is available via Rigel's test solution software, Med-eBase, allowing complete control of the Multi-Flo's features from the comfort of a PC. Requiring just a single USB connection per Multi-Flo, users can connect as many multi-channel Multi-Flo's as there are USB ports available, increasing the test capacity in high volume test environments. Instantly determine the accuracy of an infusion device, even at low flow rates, the Multi-Flo provides readings within 1% accuracy from 100μL/hr, faster than any alternative testing method or infusion device analyser. 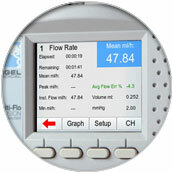 It also indicates instantaneous flow behaviour on any infusion device. 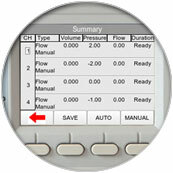 The Multi-Flo is easy to use and navigate with a large colour display, simple push button operation and intuitive menu driven interface. A dedicated data focus area allows clear viewing of target data from distances exceeding 5 meters, offering flexibility during testing both in the field and in a workshop environment. The Rigel Multi-Flo has been designed to perform tests and measurements in a dry environment. Maximum barometric elevation for making measurements is 2000m. 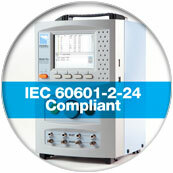 Protective system IP40 according to IEC 60529. Electromagnetic compatibility (EMC). Interference immunity and emitted interference conforming to IEC 61326-1. Operating temperature range of 15–40°C / 59–104°F, without moisture condensation. The Multi-Flo can be stored at any temperature in the range 0–50°C / 32–122°F. Disclaimer: While every care has been taken in ensuring the accuracy of the information in this document, Rigel Medical accepts no responsibility for errors or omissions.